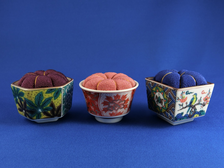 Uunique pincushions are produced by HIRO Co., Ltd., a clothing company with over 85 years of experience in Kanazawa, Ishikawa Prefecter. 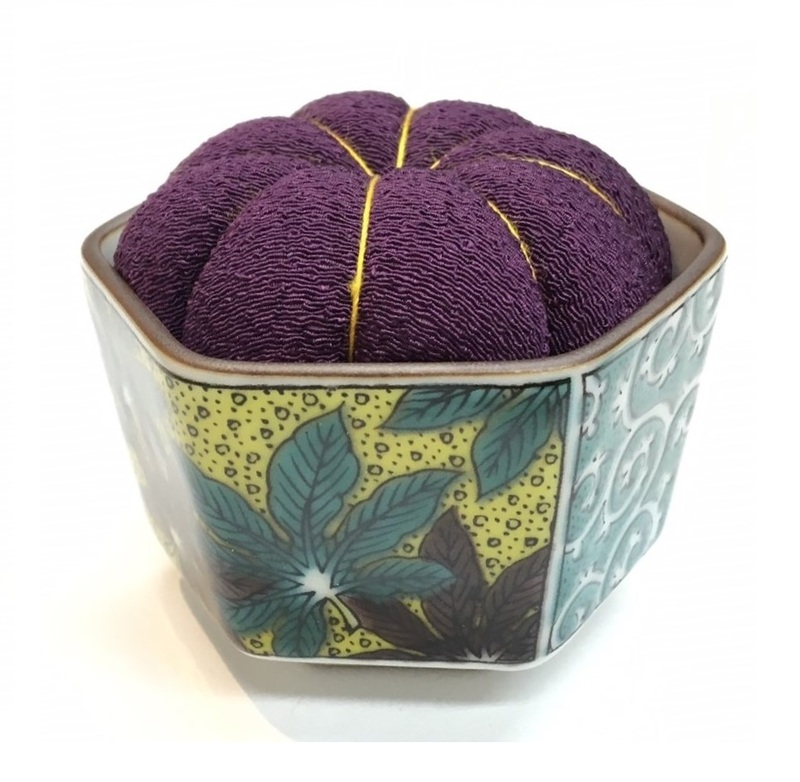 They collaborate with Kanazawa based artisans to create the contemporary and playful products for daily life using with the multiple traditional crafts inherited in Kanazawa, Ishikawa, such as the Kutani porcelain and Yamanaka Lacquerware. 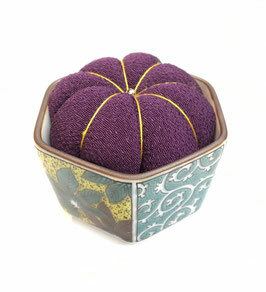 Each pincushion is a cute size as small as it just fits right on your palm. Little and tiny things make our mind easy and peaceful. Enjoy attractive products by a new collaboration between sewing and traditional crafts! *All of the objects are made at their workshop in Kanazawa, Japan. *HIRO’s products are so highly-regarded, they have appeared in art galleries and museums. Pincushions collaborate with a representative Japanese porcelain Kutani-ware. 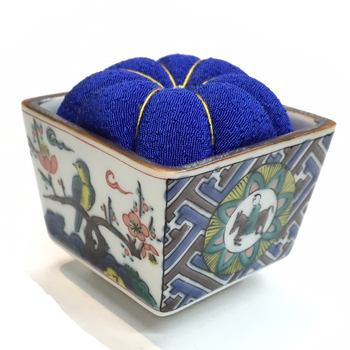 HIRO Co., Ltd is producing this unique hand crafted quite modern-Japan pincushion as well as using traditional Kutani porcelain. 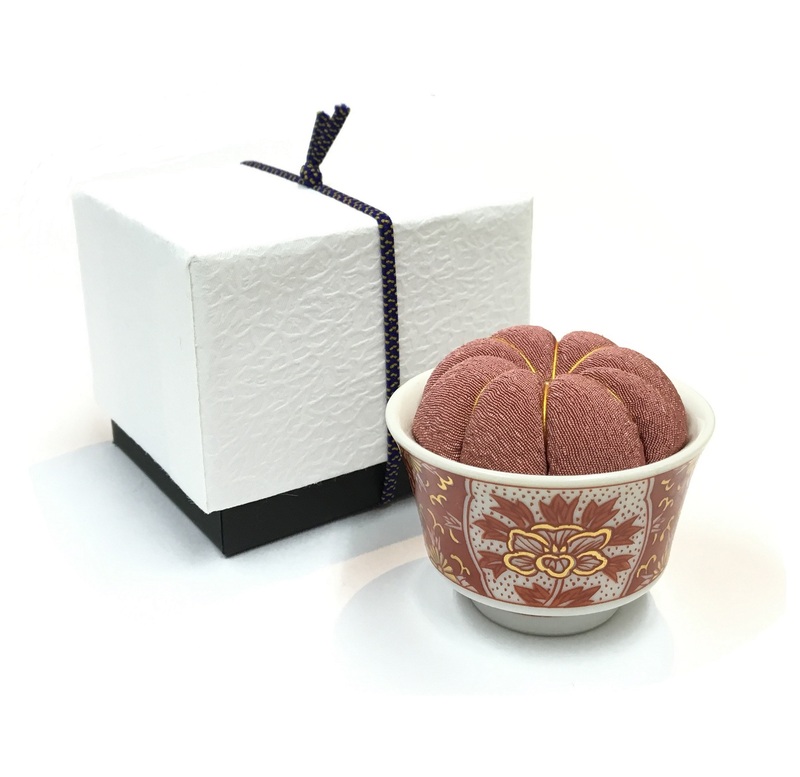 Petal formed pincushion has been set in a colorful Kutani sake cup, in which have different traditional motife of Yoshidaya-, Iidaya-, and Ko-Kutani-style. So, not only sewing lovers, but also ceramic lovers will satisfy their quality. Using the same five colors as Ko-Kutani, with the exception of red. Having a yellow background is also typical. Detailed figures drawn in red, fine patterns for the rim and some added golden ornaments are characteristic of this style. The blue-green color is the feature of the old Kutani or Ko-Kutani, and the design was avant-garde at that time. 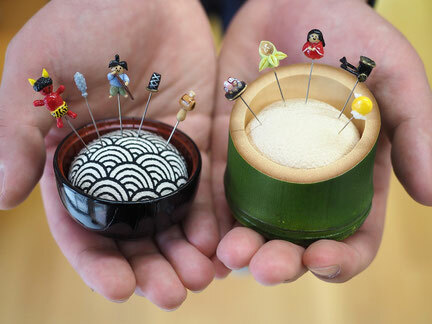 These small Pincushions are also hand made by craftsman from Ishikawa. Each piece is a fantastically elaborated mini world expressing of the Japanese folktale. It is a lovely small craft with attention to detail of the story, and made with authentic material, fine skills and sensitivities applied by the artisan in its creation. 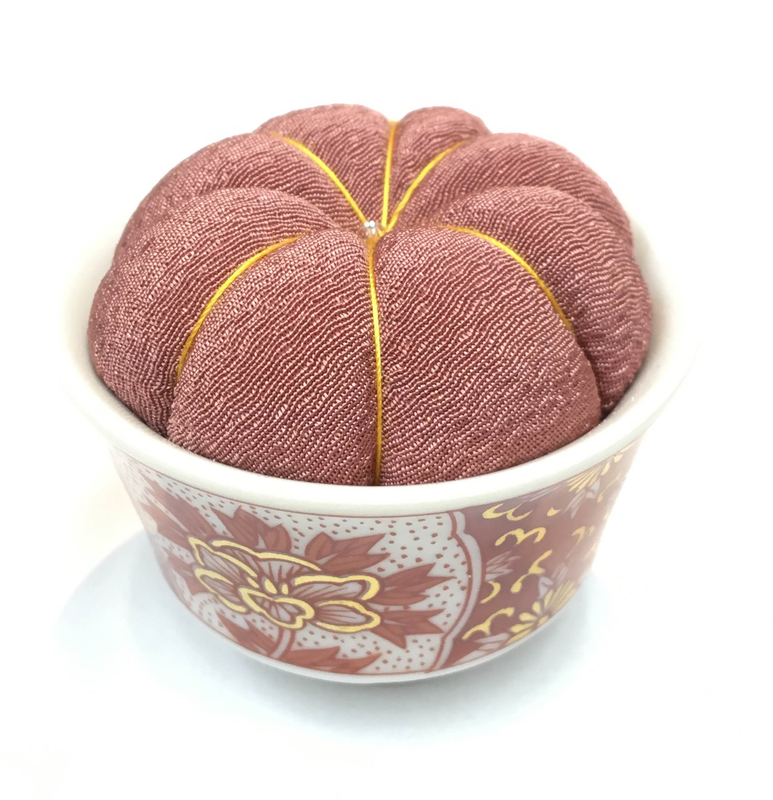 Each item comes in a set with a cup (made of bamboo or Yamanaka-lacquerware), a handmade pincushion and 5 pcs of decorative pins monted with the symbolistic motifs in the folktale. Based of two folktales, both are well-known Japanese classical stories, the one is "Issunbōshi, and "Kaguya-hime" the other. In English when we start folktale "Once upon a time...", in Japanese people say "mukashi, mukashi..." which means "long long ago...". So, mukashi, mukashi, there lived old man and old woman..... continued below, enjoy the world of folktales! 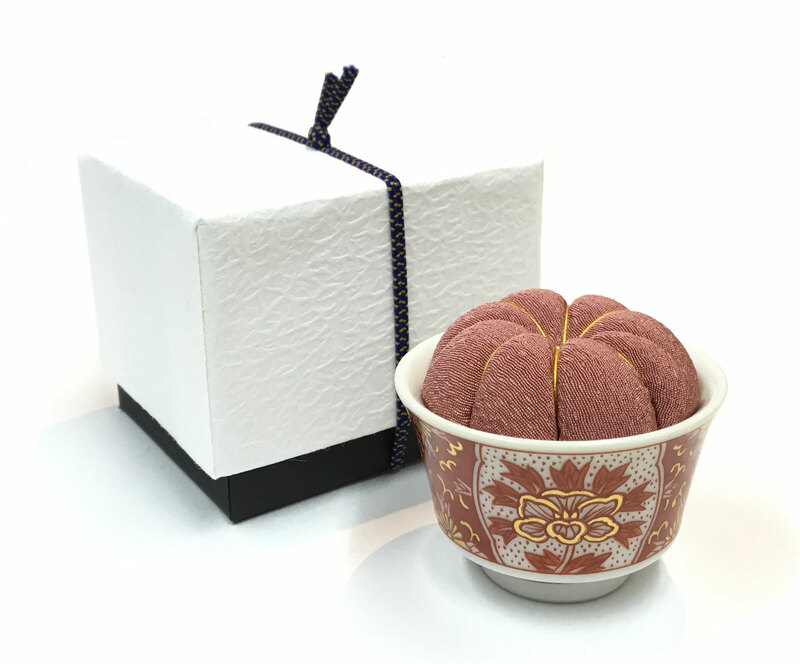 The bowl with finished with luxurious Yamanaka lacquer, and decorative pins, that tiny motifs are also crafted by hand one by one. 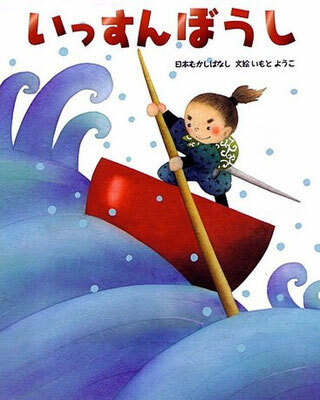 一寸法師 "Issunbōshi" is about a boy who is a tiny, little boy as big as a thumb. Thus, the story is often called "Little One Inch" or "One-Inch Boy." The tale dates back at least to the Muromachi period (1392–1573). To this day, all over Japan, the story of Issunbōshi is famous. mukashi, mukashi..., there were an old, childless couple. They wished for child and prayed each day "Please, please let us have a child, no matter how small." Eventually, a son was born to them. But small indeed, the child was only 1 sun (around 3 cm) in height and never grew taller. Thus, they named thier cute little son Issun-bōshi. One day, the boy goes on a trip to see the world. The old couple equipped him with a sewing needle for a sword, a bowl for a boat and chopsticks for oars. The one-inch warrior Issunboshi sailed down the river for the city. He becomes bodyguard to the Minister's beautiful daughter in the capital. One day, they were attacked by an ogre (oni). The ogre opened his mouth and swallowed Issunboshi. But he, down in the monster's stomach, kept stabbing away, until the ogre finally spat him out and ran away. The ogre dropped his magical mallet as he went. The princess picked it up and swing wishing Issunboshi to be grow up. Then, he became a great man, and marraged the princess. Soon after, he invited the old man and his wife to the city, and tehy all lived happily ever after. 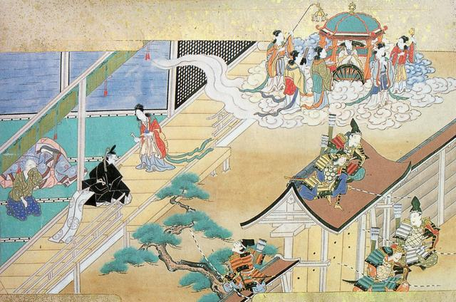 The Japanese story 竹取物語 (Taketori-Monogatari = "Tale of the Bamboo Cutter") is considered the first Japanese narrative, and was written during the early Heian Period (about 900 AD). It tells the story of Princess of the Moon, widely known as the tale of かぐや姫 (Kaguya-hime = "Tale of the Princess Kaguya"). The story has been brought into modern popular culture through television and books for centuries. In most recent adaption was an animated film done by Studio Ghibli, who released The Tale of the Princess Kaguya in 2013, and was nominated for Academy Award for Best Animated Feature. 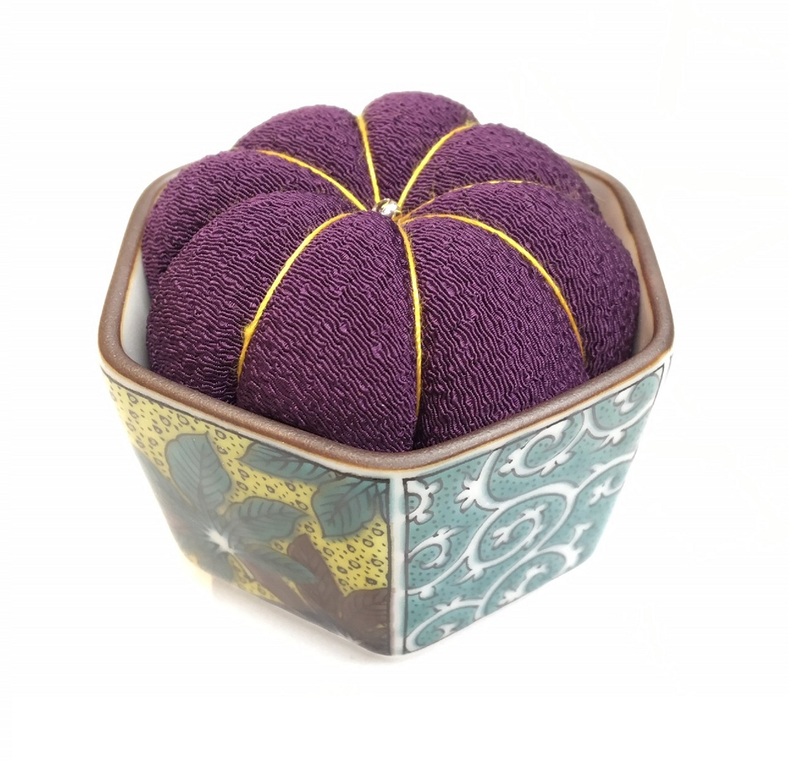 Set of a Pincushion in a lacquered bowl with 5 different motifs of pins. 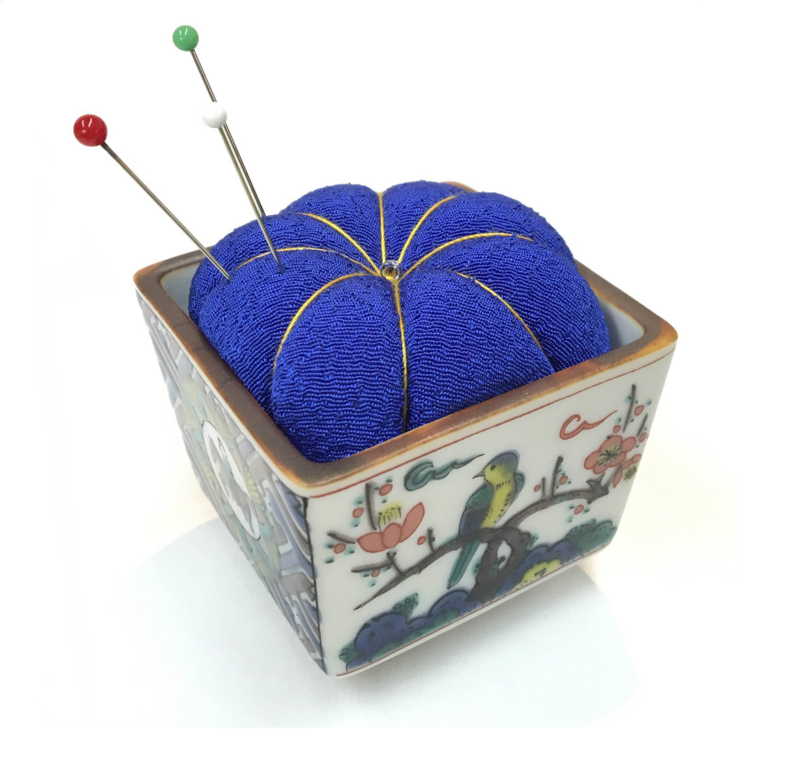 Set of a Pincushion in a bamboo cup with 5 different motifs of pins. A clothing company with over 80 years of experience in making mainly women's clothing has developed a brand new line of products in collaboration with Yamanaka lacquerware artisans, as well as craftsmen engaged in the production of a number of other traditional crafts in Ishikawa prefecture. 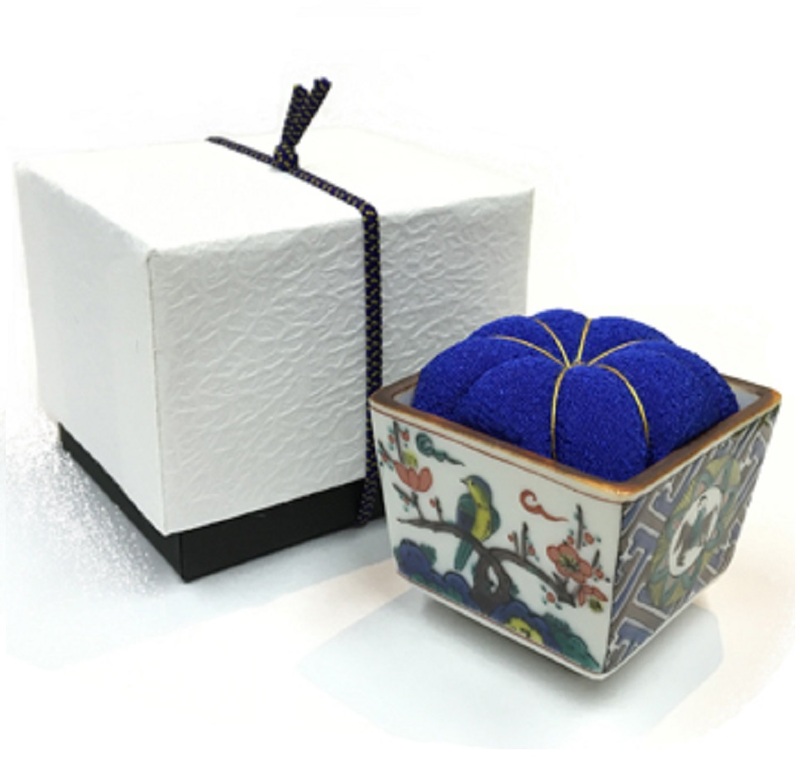 This popular sewing box product is a compact paulownia box for storing sewing tools that's finished with luxurious Yamanaka lacquer. 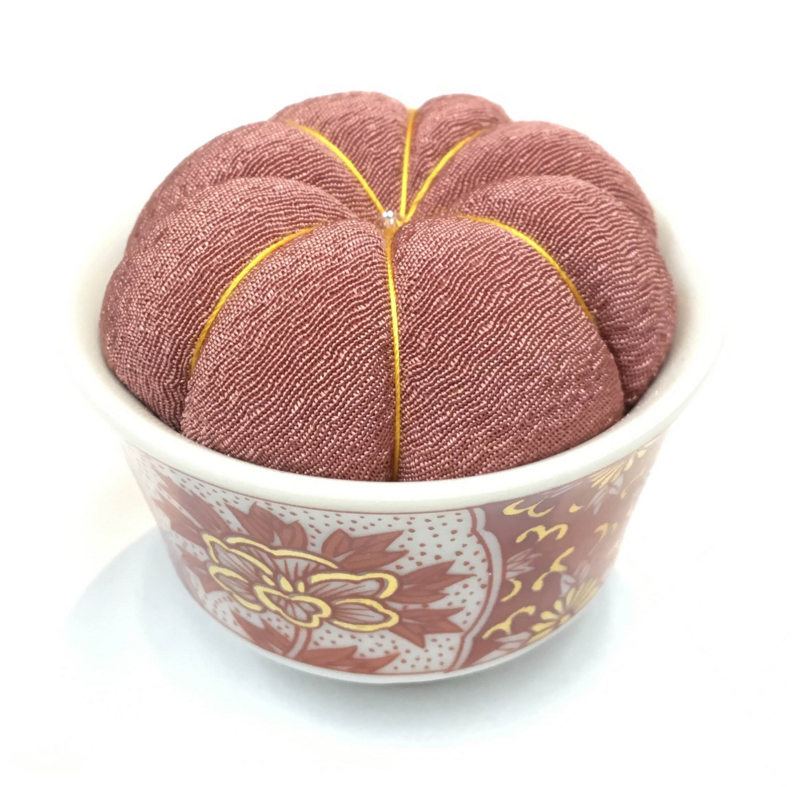 The product line also features other items such as a pincushion made with a Kutani-ware sake cup, creating a new collaboration between sewing and traditional crafts. At the same time, they work with distinct designs adapting traditional craft techniques nourished in Ishikawa Prefecture, such as Wajima lacquerware, Yamanaka lacquerware, and Suzu pottery.